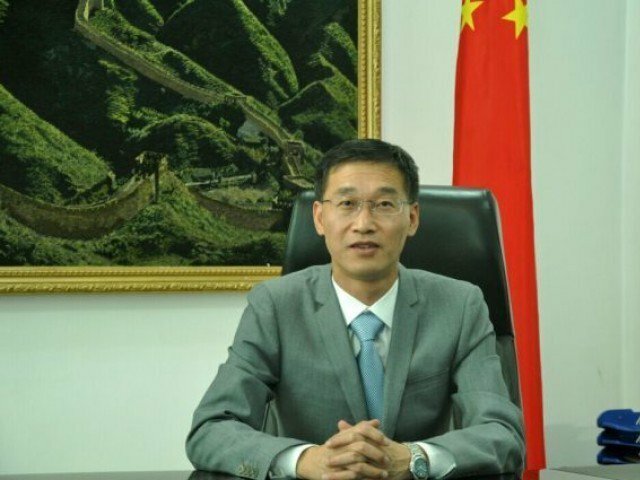 Chinese Ambassador Yao Jing on Saturday said that Baloch militant organisations the China-Pakistan Economic Corridor (CPEC), while sitting down for an interview with BBC Urdu. He added that members of such militant groups were “not true Pakistanis”. Jing assured that the Gwadar port would be transformed into one of the world’s trading hubs owing to the improving security situation in the country in the last few years. “If they [Baloch militants] are true Pakistanis, they should work in the interest of Pakistan,” he said. He discounted their capacity to become a threat to the CPEC project. The envoy also expressed his satisfaction with the security dispensed to 10,000 Chinese nationals working on various projects in the country. Back on December 9 of last year 70 Baloch separatist militants, including commanders, renounced violence and laid down their arms on Saturday at a ceremony Chief Minister Sanaullah Zehri and Commander Southern Command Lt Gen Asim Saleem Bajwa were among the participants. The Ferraris belonging to Baloch separatist groups announced submitting to the writ of the state and becoming part of the national mainstream. At least 70 Baloch separatist militants, including commanders, renounced violence and laid down their arms on Saturday at a ceremony with then Chief Minister Sanaullah Zehri and Commander Southern Command Lt Gen Asim Saleem Bajwa were among the participants.